Answer: The question is moot. I am not ever going to leave. Apple is mine. Steve is Apple, Apple is Steve. My plan at this time is to live forever and to remain in charge here, though perhaps with fewer restrictions on my power. 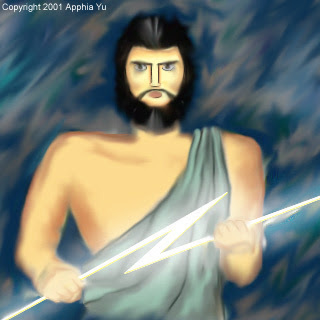 The truth is, I am not human — I am a man-god, son of Zeus (in photo above; please note resemblance), born to mortal woman but fathered by the ruler of the gods, lord of thunder. If I do leave, Apple shuts down. Immediately. No guff. It’s in my contract.